Victor & Mable Niemeyer bought the present location on Elm Street from Mound City Casket Company in 1939. Mr. and Mrs. Niemeyer operated the business until 1946, and then sold the business to the Nelson Family Funeral Home in Carroll County Arkansas. On the same day the Nelson Family bought the funeral home, they sold it to Mr. Niemeyer’s competitor, Ed and Mary Wilks. Mr. and Mrs. Wilks owned and operated the funeral home until 1976, when Donavon and Mary Lou Lakin purchased the business. In 1989, their son, Scott, began working with them as an embalmer and funeral director in the family business. Since 1939, there have been many changes to this location including a new modern spacious chapel, a new casket display room, office spaces, and a floral shop. 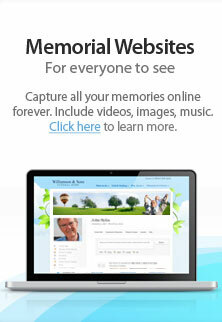 Much technology has also been added to the funeral business with online obituaries, on-line guestbook for those who are unable to pay respects at a visitation or service but want to send a message to the family, a drop-down screen for video tributes of one’s life, and a new music library for families to choose songs from for their loved one’s funeral, or memorial service. A funeral or memorial service today can look many different ways and is designed to meet the desires of each individual family. Also changing are the types of services families request. There are many choices and options provided for families to choose from so they can honor and remember their loved ones. Some of the options today are Video Tributes, two- or three-fold picture memorials, various sizes of urns and containers to choose from, and many decorations and panels to use on the caskets. Every family can have the service they wish for to honor and pay tribute to their loved one. Services can be as simple or complex as the family chooses. As we work with a person who has passed away, we always remember they were loved by many people, have left many memories behind, and are going to be missed. We know this is the last “nice thing” we can do for this person before their family and friends come to visit and memorialize their life. Our goal is to serve our friends and families, as we have for the past 35 years, with dignity and affordable pricing. We strive to give ALL families a way to honor their loved ones regardless of financial circumstances. Everybody deserves to be honored and respected by those who love them, and those who are left behind deserve to have the opportunity to honor their loved ones. Friendliness, kindness, and sympathy are always FREE to all visiting the funeral home. Families of all faiths are served through the community, in the state, and all across the nation. Donavon C. Lakin was born in Waterloo, Iowa in 1940 and moved to Bolivar, Missouri in 1950. He graduated from Bolivar High School in 1956, graduated from Southwest Baptist College in Bolivar, and then graduated from John A. Gupton School of Mortuary Science in 1960. Don married Mary Lou Kelly in 1965 and she is a licensed funeral director and is active in the family business. Don was elected Lawrence County Coroner in 1988 and is now Deputy Coroner. In 1986, Don was appointed to the Missouri State Board of Embalmers and Funeral Directors and served two terms on that board. In 2005, Don served as president of the Missouri Coroners and Medical Examiners Association. Don Lakin is active in the Masonic Blue Lodge, Scottish Rite, and Shrine. Scott Lakin was born in Springfield, Missouri in 1966. He graduated from Pierce City High School in 1984, and graduated from Kansas City Community College of Embalming in 1989. Scott married Dr. Brenda Snider in 2005 and she is active in the funeral service with Scott and his mother and dad. Brenda works for the Aurora School District as the Director of Special Education. Scott took over his dad’s trade embalming service and embalms for several funeral homes other than in Pierce City. After Don’s retirement from serving as Lawrence County Coroner, Scott was elected in 2008 after serving as deputy coroner for many years and serves the county at this time. Scott is active in the Masonic Blue Lodge, Scottish Rite, and Shrine. Kelly Lakin, the youngest son of the Lakins, is also a licensed Funeral Director. He helps when called upon to assist in the family funeral business but is a Grow Out Supervisor employed by Cargill Turkey Production, LLC.